Almost the very best thing about attending a cooking class at French Mint is the warm gougere you get when you first arrive. A gougere is a made-in-heaven cross between a crispy yorkshire pudding and cheese fondue, mmmmmmmm, but lighter, more delicate, and more sophisticated than either. 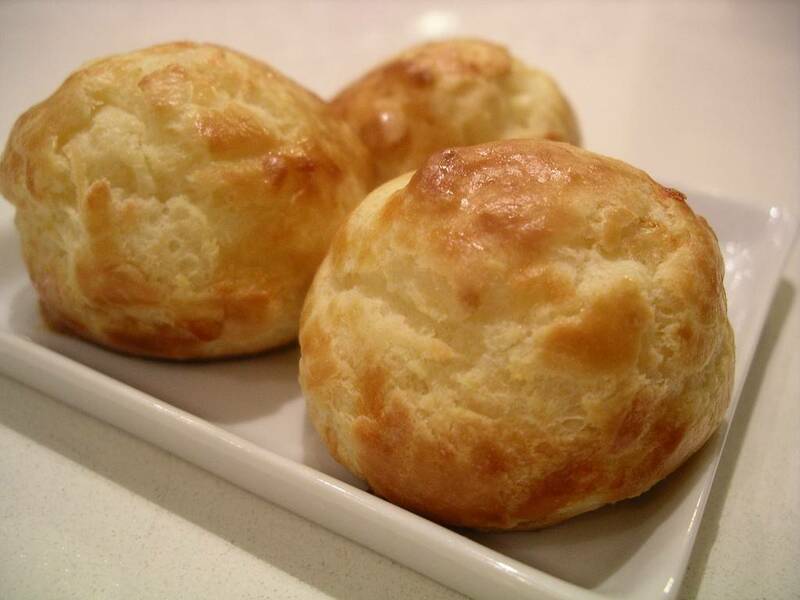 It is a miniature puff ball of choux pastry (i.e.cream puff pastry) with a delicious amount of grated Gruyere cheese mixed in. Yeah, I told you it was made in heaven. 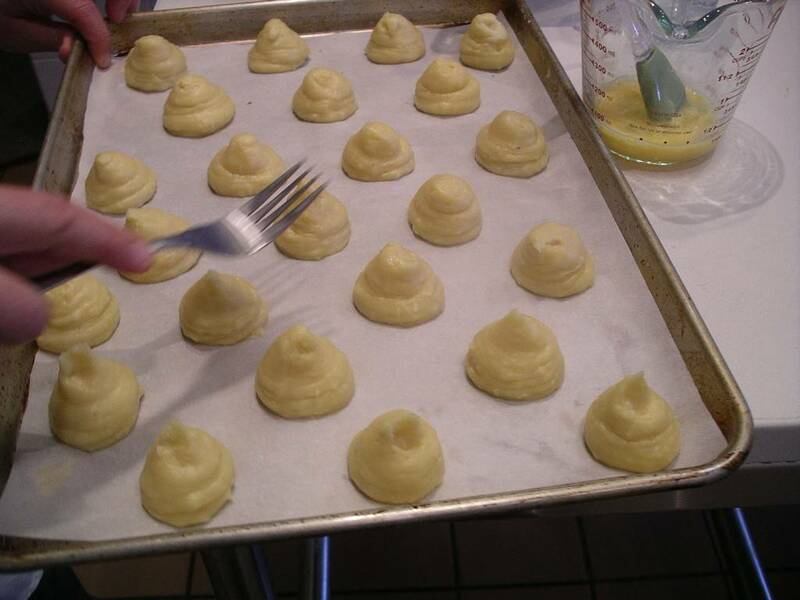 The gougeres at French Mint, made by chef-owner Denise Marchessault, are the best I have ever eaten. 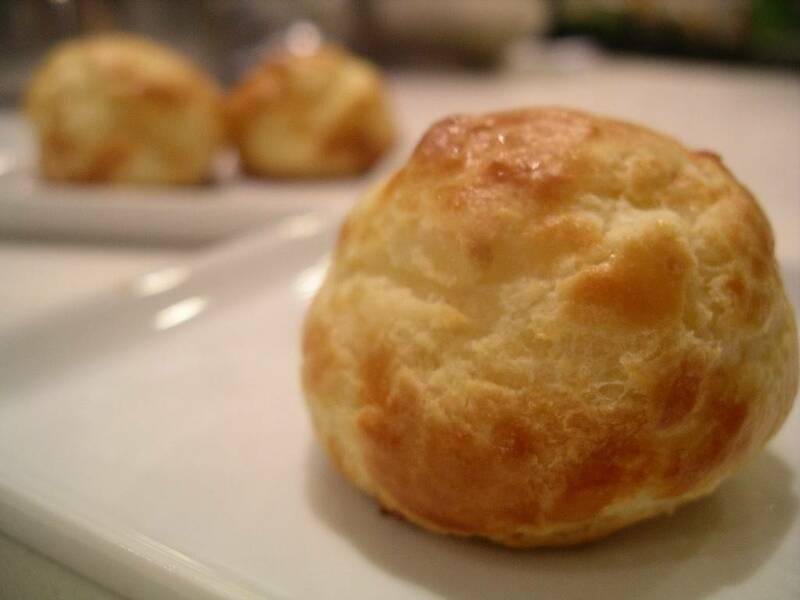 Denise doesn’t know this, but one of the reasons I keep coming back to guest chef cooking classes at French Mint is because she keeps me in gougeres. To die for! Ok, ok, I also keep coming back because of the gorgeous facility at French Mint – a beautiful and cozy demonstration kitchen that exactly suits an intimate class of 10 participants – and because of Denise’s warm and inviting personality. We’ve been friends for years: she encouraged (i.e. forced) me to start offering my culinary tours of Victoria’s Chinatown, and she once gifted me a private three-hour lesson on homemade puff pastry in preparation for my Red Seal Chef challenge. 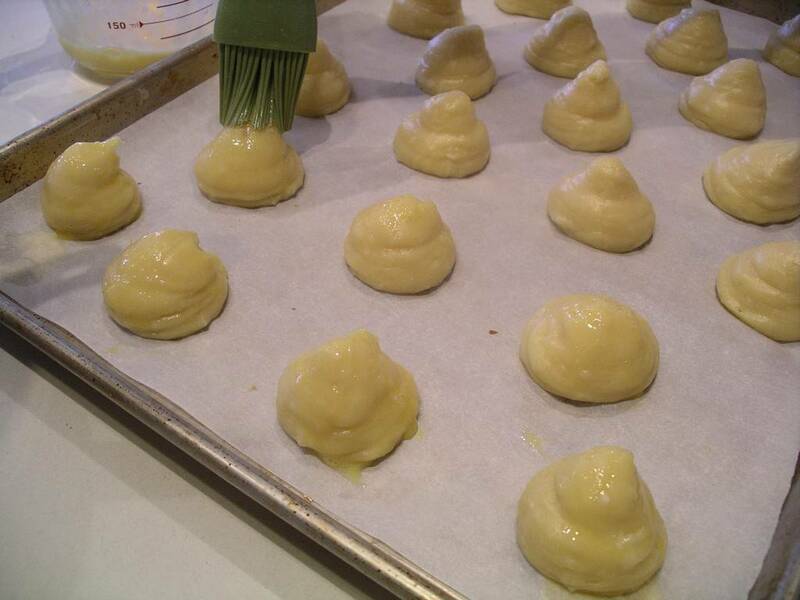 Denise specializes in classical French pastry and cuisine. Her classes run the gamut from hands-on knife skills, to French bistro classics, to mastering puff pastry. 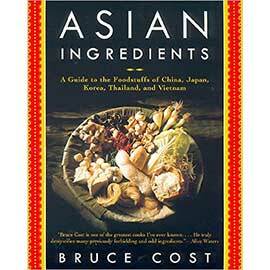 She also opens her cooking school to guest chefs, such as myself, who run specialty classes: Thai, Japanese, Vegetarian, etc. You definitely need to take a class at French Mint, and not only for the gougeres. But next time you go, can you bring one back for me? 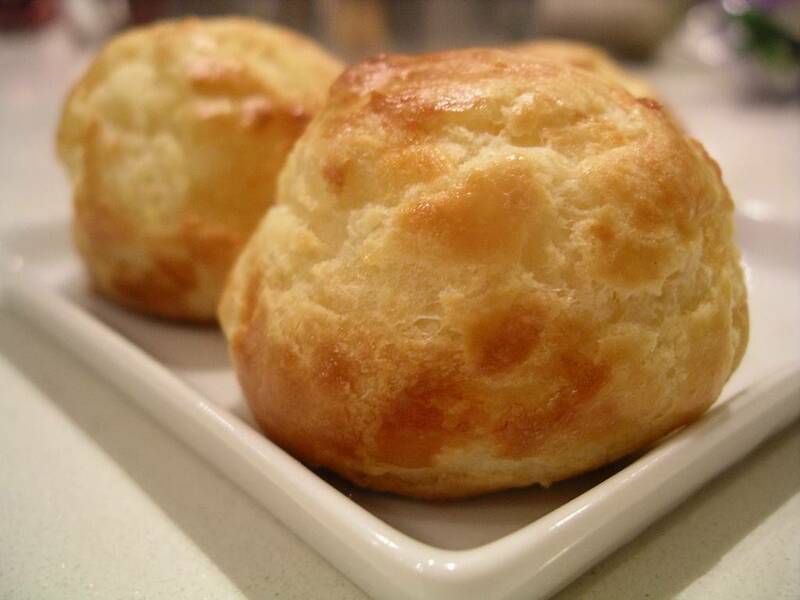 Gougeres are delicious delciate puffs of cheesy goodness. You can make smaller ones for appetizers, or bigger ones for more substantial snacks. Either size can be served warm or room-temperature, filled or unfilled. Denise Marchessault, who generously shared this recipe, says that you will have the best results if you use a scale to measure the ingredients, but the volume measurements are included for those who don’t have a kitchen scale. 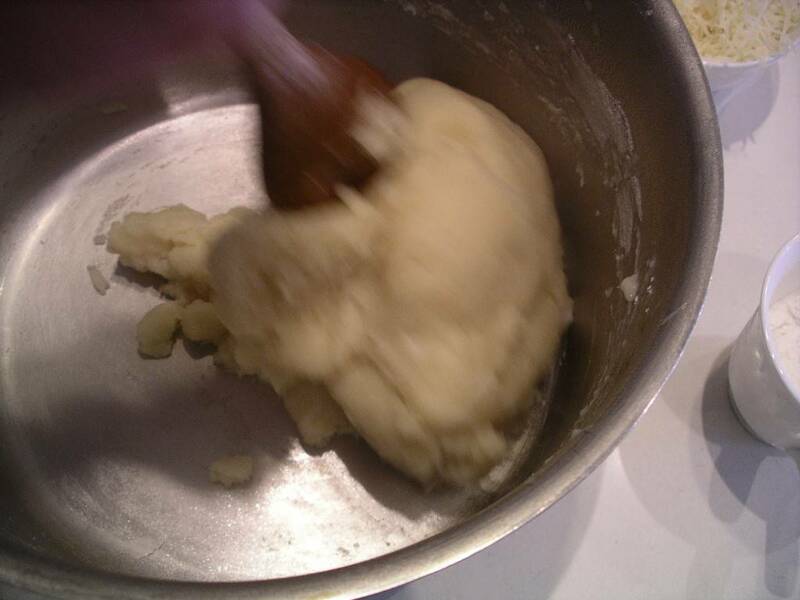 In a large sauce pan, combine the water, milk, butter, salt, and sugar. Bring the mixture to a full boil over high heat. Add the flour, all at once, and stir vigorously with a wooden spoon until the mixture forms a ball that pulls away from the sides of the pan. 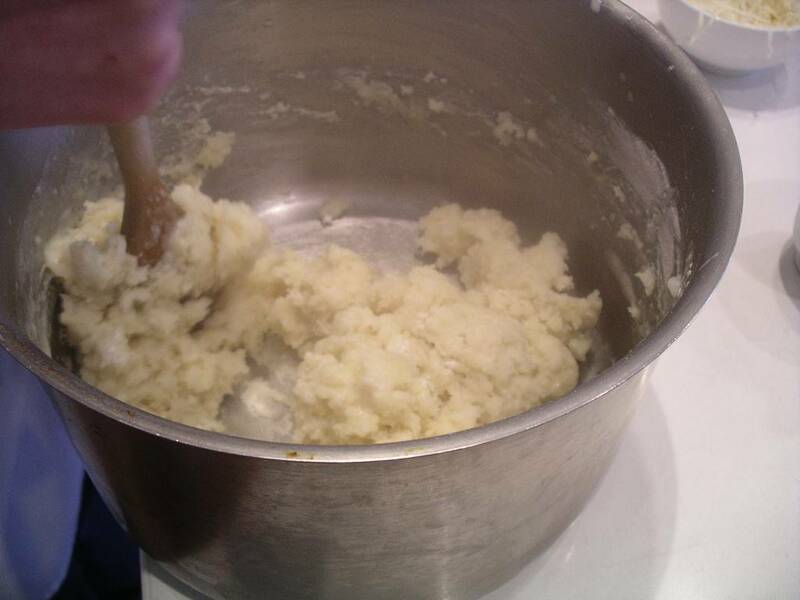 Tranfer dough to the bowl of an electric mixer. Use the paddle attachment. (If making this by hand, use a wooden spoon). Add eggs to the dough one at a time, ensuring each egg is absorbed before adding another. The mixture is ready when the dough is firm enough to be dropped from a spoon (or piped with a pastry bag) onto a baking sheet. If the mixture is too firm, add another egg. 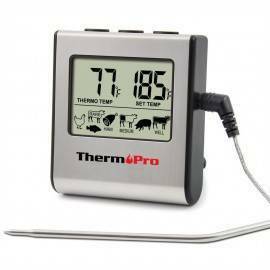 The amount of eggs you will use will depend on how dry or damp the weather is. Gently beat in the grated cheese. 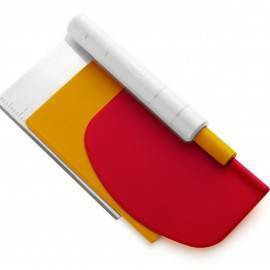 Cover a baking sheet with parchment. 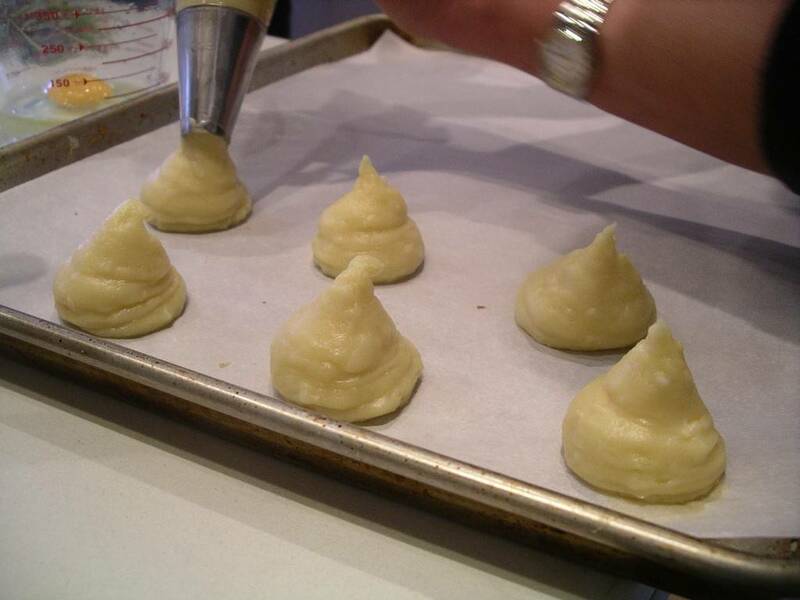 Place the dough in a pastry bag with a 1/2-inch diameter piping tip. Alternatively, scoop the dough into a sturdy ziplock freezer bag and snip one corner off to use as a make-shift piping tip (this works quite well, actually). For lack of either pastry bag or ziplock bag, you can use a spoon to drop the dough onto the baking sheet. Set balls aside for 15 minutes before baking. Test one to see if it is cooked all the way through. If it is cooked on the outside but not the inside, turn the oven off and leave the puffs to cook in the residual heat of the oven for 5 to 10 more minutes. 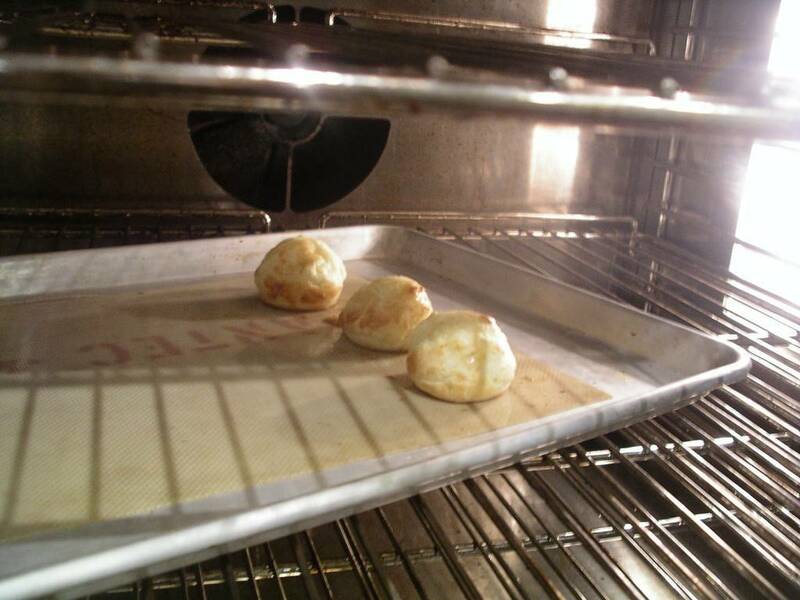 Remove gougeres to a rack to cool slightly before serving. Thank you for posting this recipe! 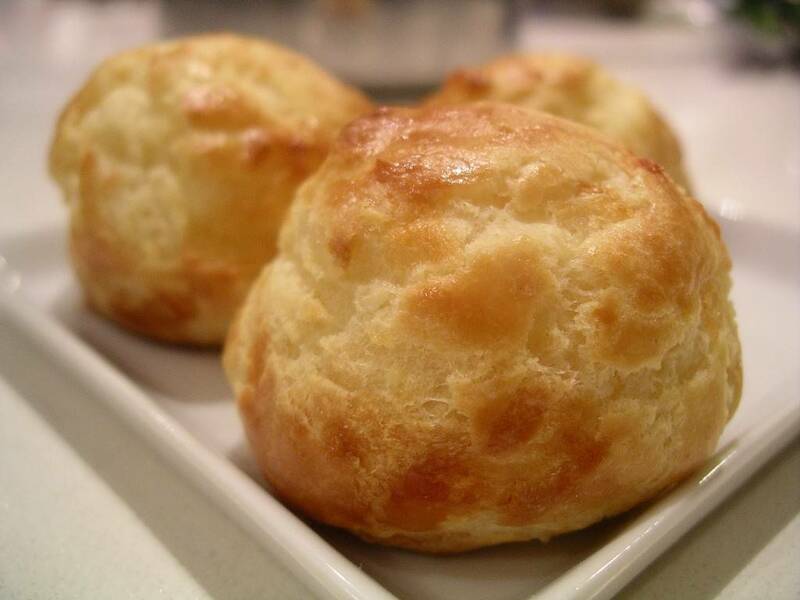 As a former student of French Mint who no longer lives in Victoria, I am constantly craving Denise’s gougeres and wondering if I can convince her to sell and deliver them in bulk to me.